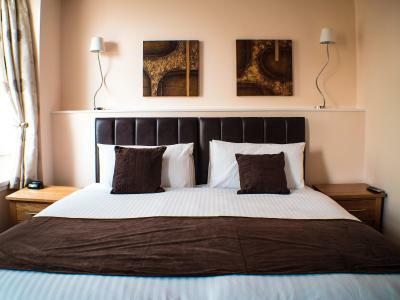 Lock in a great price for Mereside - rated 9 by recent guests. The presentation of the hotel was very good. 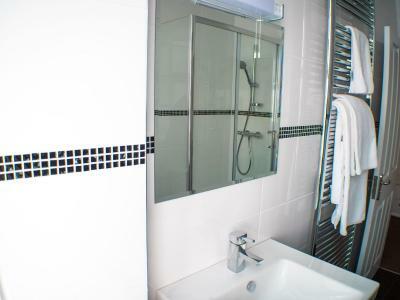 The rooms were of a good standard and spotlessly clean. The staff were friendly and attentive. The breakfast was buffet style and offered reasonable range of food. Good clean modern room friendly staff good breakfast what more do you need. Very pleasant staff, very helpful. Lovely clean hotel. Room very comfortable and clean. Breakfast was also very good and staff very attentive at that busy time of the day. Location perfect. 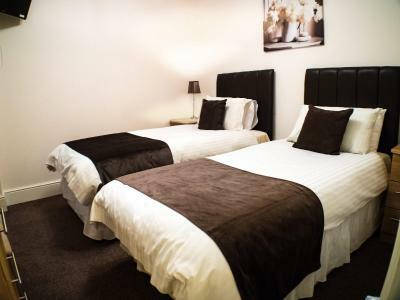 I have this hotel quite a lot and find there friendliness and service of a high standard. 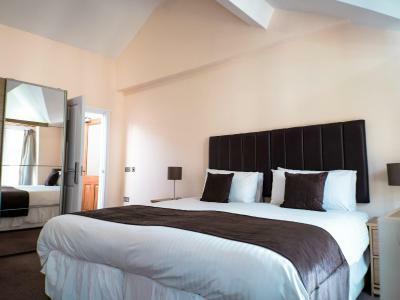 The rooms are of an excellent standard. We were upgraded to a large room with a sea view, adding to the already excellent value for money. The hotel bar / bistro had cask ale and excellent food the one night we ate there. Lovely staff, very helpful and welcoming. Very comfy beds, great sea views. It was in a perfect spot for us. Spotlessly clean. The staff were lovely. Will stay again next year on our annual visit to the IOM to see her family. Very friendly and helpful staff. Food was excellent. Room was very comfortable and clean. 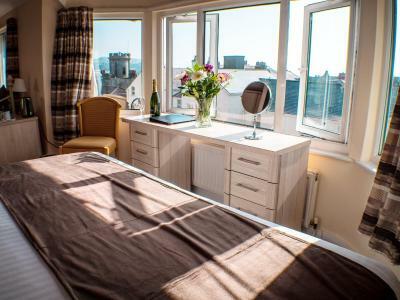 The family-run Mereside is situated in Douglas, the capital of the Isle of Man and has full disabled access, with a lift to all floors. It has free Wi-Fi and free parking, with a restaurant and bar. 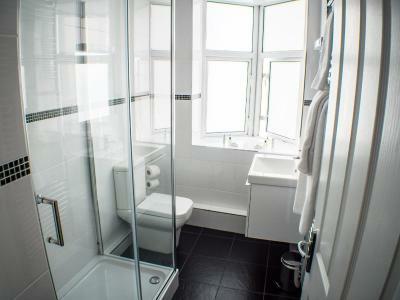 Rooms at Mereside feature an en suite bathroom and a TV. They also include a seating area, DVD player and tea/coffee making facilities. Douglas Steam Railway is a mile and a half from the hotel and Douglas Ferry Port is just over a mile away. The award winning Manx Museum can be reached in less than 15 minutes on foot. 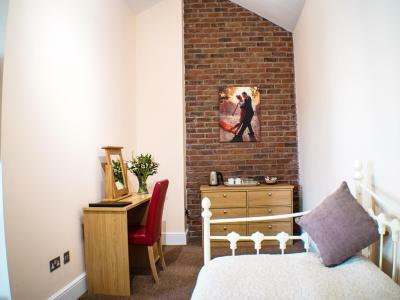 Mereside has been welcoming Booking.com guests since 1 Mar 2009. When would you like to stay at Mereside? 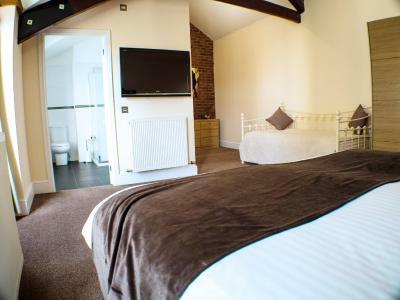 This en suite room features a TV and tea and coffee making facilities. Spacious room with a seperate lounge area. House rules Mereside takes special requests - add in the next step! Mereside accepts these cards and reserves the right to temporarily hold an amount prior to arrival. Please inform Mereside in advance of your expected arrival time. You can use the Special Requests box when booking, or contact the property directly with the contact details provided in your confirmation. The hotel was good but location was not to our liking. There was a lot of noise from outside parties which made the nights a little uncomfortable. If the hotel was elsewhere in Douglas we would stay again! Beds were two pushed together. Odd height! Big bright airy room. Food good. The cooked breakfast, while fairly generous, seemed a bit inconsistent, with some days being much better than others. 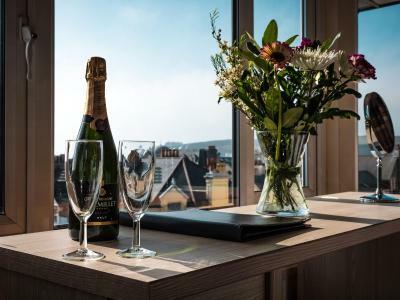 It is worth mentioning that the hotel's location means you are beyond an easy walk to Douglas town centre., although as we had bought bus tickets for our stay, it was not an issue for us. Curtains need updating, didn’t cover the full window when closed. Some damp on the shower ceiling that needs sorting. Lock on first room door didn’t work but was really quickly moved into a new room. My only niggle was that breakfast was 7.00- 9.00 which when on holiday is a little early at the weekend . But won’t put me off staying there again . The floor in the wet room wasnt sloping the right way so the water gathered around the door instead of draining away. Staff were wonderful. Breakfast was really nice. Beds really comfortable. The room wasn't the room we thought we booked based on the pictures. It was really small too. We were going a wedding and it was a bit difficult to get ready, because the room was too small to find a convenient space for opening luggage, there wasn't a large mirror, and there was an ironing board, but NO iron provided. They had an burn iron at the top floor which did the job. The staff, especially Phil and Maria, were wonderful. The breakfast was great, and most of all I really appreciated the fact that they checked us in early.